Do you need Substitute Teaching Plans? 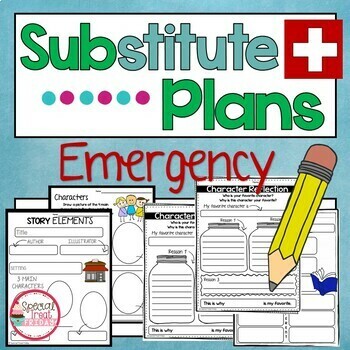 Maybe you are required to have them just in case you have an emergency or if you are going to be out sick or just need a day off, these are great last minute, NO PREP, plans for your substitute. All the substitute needs is a picture book, class basal readers, class paper books or stories or the students can even use their own book. These lessons can be printed out into a packet or used individually. 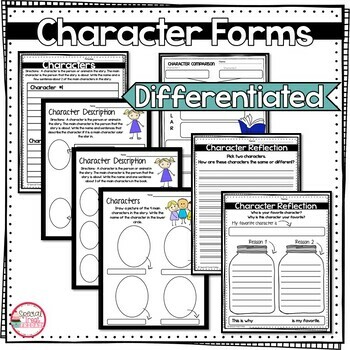 They also work great as a book study and in centers. 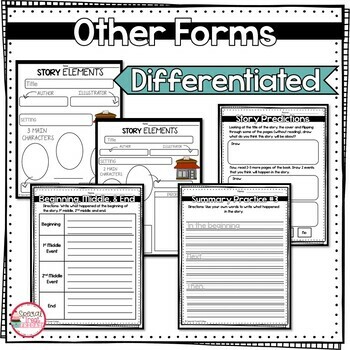 The best part about them is that they are differentiated. 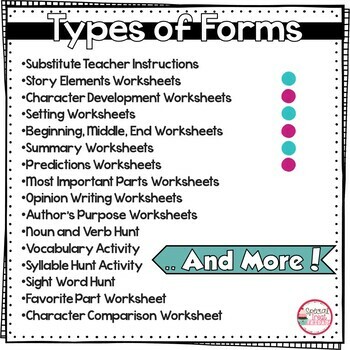 So whether you print them at the beginning of the year and your student's change during the year or your class is full of various levels, these will work. They are as flexible as your substitute teacher needs to be. For more ideas on preparing for a substitute and how to use this unit, check out this article on our website. You may also be interested in my Spring Bulletin Board Adjective Activity. This is another great one to do with a Substitute. Be Sure to Follow Special Treat Friday!